I am coming to bring great shaking and to reveal Myself powerfully in the earth. 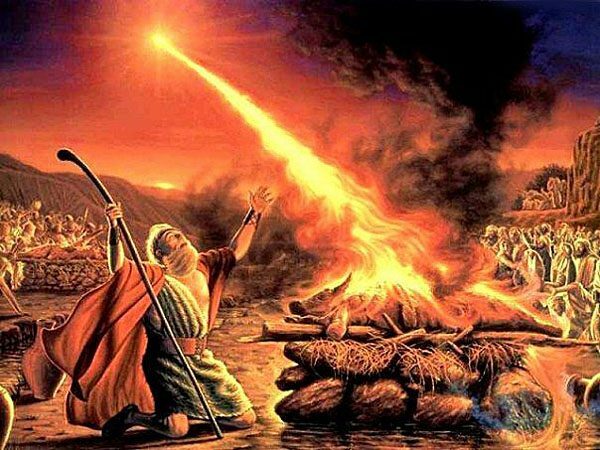 Does My Word not tell you that before that great and terrible Day of the Lord that I would send forth the spirit of Elijah to prepare men’s hearts for My return? Have I not sent this very spirit to convict men of their unrighteousness and to warn all to repent? Surely I have done this thing, and I have sent forth My Spirit to prepare hearts and call forth fasting and repentance in My people. The signs of My return are unmistakable and they are everywhere. It is only for you to see and hear with your spiritual senses, so that you may know that this is truth I am speaking. How long must I suffer you My people, how long? Fast, pray, watch, and be sober. I implore you. Be steadfast in heart and come to Me with great courage in all things. I am your Source of All and I am always faithful. Thank you Julie! I love THE KING IS COMING! THE KING IS COMING! THE KING IS COMING! He definitely is coming! Praise the Lord! I pray that we the saints all endure to the end and He finds us worthy because we the church are going to be purified to receive Him! Hallelujah! Please my Z3news family, this posting from Julie is not a coincidence. See Perry Stone just few hours ago posting on his face book what the Lord has told him to minister on tomorrow night at OCI. Topic: Jezebel versus the Spirit of Elijah. How appropriate and timely. Those of you in America are blessed with all the prophecies coming to your nation whether good or bad, we are still to wake up here in the UK. Pray for us as we pray for you too. Shalom. Stella, Lou Engle has called for a 40 day prayer and fasting concerning the upcoming elections. He views this as an Elijah/Jezebel showdown also. Thank you….What I took away from this is we need to truly know who He is,and have a reverential fear of the Lord which is the begining of wisdom and to not only love the Lord,but to be in love with the Lord……. Julie, for almost two weeks I have repteadly heard “You are a vessel. Pour out yourself so that I may pour into you.” This is so exciting. Thank you! What a confirmation to my time this morning. I was in Rev 1 at the end of verse 3 “for the time is near” and in my head I heard “Jesus is coming” repeating over and over again. Awesome Word from the Lord! Yes, may we bow and humble ourselves before HIm, and pour ourselves out as living sacrifices to our King of Kings and Lord of Lords! Come soon Lord Jesus! Hallelujah!!! Come Lord Jesus!! Thank you for this gift of prophecy Lord Jesus! Thank you for your Word!!! Release of the Spirit is coming . Eastern time Oct. 7 11:38 pm sun rise in Israel. 6:38 am Matthew 24:42 Therefore keep watch 1 Thessalonians 5:1 But of the times and the seasons, brethren, ye have no need that I write unto you. A time to be in prayer.